Chris believes that the challenge of our time is building a strong economy with more shared prosperity. That conviction is behind so many of the big fights he’s waged and won on behalf of everyday people, and it’s what will drive his priorities as our next U.S. Senator. Chris is leading the charge for equal pay for equal work, fighting to hold Wall Street accountable, and working to level the playing field so all Marylanders can succeed, not just the wealthy few. Chris’s fight is for every citizen who’s working harder than ever but still feeling stuck in place. To read Chris’s Maryland Economic Action Plan, click here. Marylanders are working harder than ever, but feel like they’re stuck in place or falling behind. Far too many Marylanders are working harder but still feel stuck in place, even as the very wealthy are doing better than ever. Even though worker productivity has climbed steadily over the decades, the wages and benefits of the typical worker began plateauing in the late 1970s. It’s no wonder most working families feel like they are on a treadmill or falling behind. 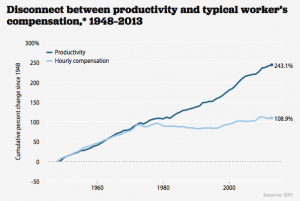 Where have the gains from increased worker productivity gone? What’s outrageous is that we have a tax system that makes the problem even worse. 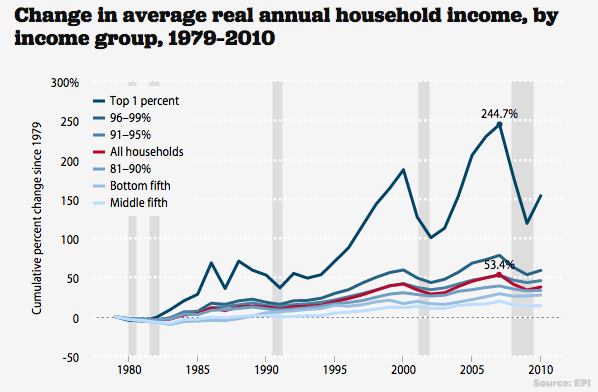 Seventeen percent of the value of major tax breaks go to the richest 1 percent. The tax system is stacked in favor of those who make money off of money and against those who earn paychecks through hard work. We must even the playing field for hard-working Americans. Chris wasn’t content to sit back and wait for others to come up with a solution — he took action. In January 2015, Chris put forward a comprehensive economic plan to help every American get ahead, not just the wealthy few. It was widely heralded by leading progressive economists as the benchmark for substantive forward-thinking policy to create more broadly shared prosperity. Where have the gains from increased worker productivity gone? Straight to the top 1%. Chris’s plan invests in Marylanders and boosts paychecks for Americans who are working hard to get ahead, and cracks down on Wall Street’s excesses and risky financial dealings that plunged us into a deep recession. At the center of Chris’s plan is a $1,000 paycheck bonus tax credit for every worker earning up to $100,000 a year ($2,000 for every two-earner couple, phased out at $200,000), indexed to inflation. Chris’s plan would make it easier to save for the future through a $250 Saver’s Bonus for workers that put away $500 for retirement. His CEO Employee Paycheck Fairness Act would prevent big corporations from getting tax breaks for CEO and executive bonuses unless they give rank-and-file employees a raise too. Pay for tax benefits in the plan for middle- and lower-income families by reducing tax breaks for the top 1 percent and applying a small fee on Wall Street transactions that will also help curb high-risk trading. Chris knows that in order to grow Maryland’s economy, we need a climate that attracts new investments and good-paying jobs. Whether it’s helping to spur innovation from small businesses and the academic community, or championing a robust federal workforce, Chris fights every day for an economy where every Marylander who wants a job can find one. He authored a budget to boost funding for scientific research to continue growth in Maryland’s bioscience industry, and provide good construction jobs and increasing economic productivity by investing in infrastructure. Chris introduced a version of the President’s GROW America Act in Congress, a six-year plan for transportation investments that is paid for in the first two years by closing loopholes that let big corporations avoid paying taxes in the United States. Small businesses are the backbone of our economy and are creating jobs across the state. Chris is working hard to invest in our entrepreneurs and make sure they have the access to the tools they need to succeed. In partnership with President Obama, Chris worked to get Maryland small businesses job-creating capital, tax credits, and contracting opportunities, and he continues to work to ensure that minority- and women-owned businesses have fair access to those programs and the tools they need to succeed. Chris believes that equal pay for equal work must be a cornerstone of our country, but he’s done more than simply pay lip service to it. He’s made it a central component of his budget and economic plan. In the House, he fought to pass the Lilly Ledbetter Fair Pay Act, and in the U.S. Senate, he will build on it to address the wage gap, enforce equal pay for equal work, and prohibit discrimination against women in the workplace. 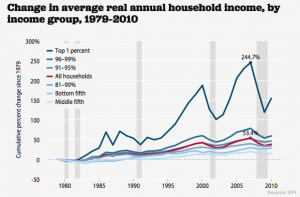 Growing wage stagnation and income inequality in America have roots in the increasing barriers to form a union. American workers have always been stronger together than when divided, so Chris has worked to strengthen the right to organize, have safe job sites, and earn fair wages and benefits. He’s a leading supporter of the WAGE Act to protect the rights of every worker. Because a safe home provides a stable foundation for families in our communities, Chris has been a strong advocate for affordable housing. He authored a budget to increase the number of available homes for very low-income families and fund additional vouchers for those who are struggling to pay rent. He has supported resources to help Americans stay in their homes and make mortgage payments through the worst of the economic recession. In order to connect Marylanders with job opportunities, Chris knows that we need to invest in skills training. That’s why his economic plan supports apprenticeship programs and he’s been a leading supporter of the Workforce Development Tax Credit Act, which would provide tax incentives to companies that provide apprenticeship opportunities and hire new employees after successful completion of apprenticeship programs. Chris also recognizes the economic opportunity of immigration reform and has been a leading advocate of fixing our broken immigration system, earning a 100% rating on the 2014 National Immigration Scorecard for his strong support of comprehensive immigration reform. He knows comprehensive immigration reform isn’t just the right thing for families in Maryland and across the country — it is the right thing for the economy because it will boost growth, decrease budget deficits, strengthen Social Security, and foster innovation. Chris supported passage of the DREAM Act in the House in 2010 to give opportunities to young immigrants. In the Senate, he won’t stop fighting until the job is done. We need to not only grow our economy, but ensure that it has more broadly shared prosperity. A key part of that is making sure that Wall Street is held accountable and paying its fair share. Chris worked closely with President Obama to pass Wall Street reform so that taxpayers will never again have to foot the bill for gambling on Wall Street. As our next U.S. Senator, he will continue to block Republican efforts to repeal that landmark law. The American economy relies on strong exports, which is why Chris is a supporter of the Export-Import Bank to boost U.S. sales overseas. Trade can also play a part in creating markets for American goods, but trade agreements need to boost American jobs and wages and protect the environment and worker’s rights. During the negotiation of the Trans-Pacific Partnership (TPP), Chris called for strong provisions to prevent currency manipulation, protect workers, and safeguard the environment, and voted against efforts to fast-track the process and rush an agreement through Congress. Chris opposes the final agreement, which fails to meet those objectives.